Mold your team into the Work Culture of your choice…. Getting your team adopt a work culture is now extremely easy. Daily Rituals lets your employees reiterate cultural values through amazing video and audio media files on daily basis. It is the fun way to make your team learn, adopt and grow their skills. You can motivate, inspire, educate and train your team on the fly. You need not manually enter data. Simply download template, merge data and import file in multiple formats from your system. 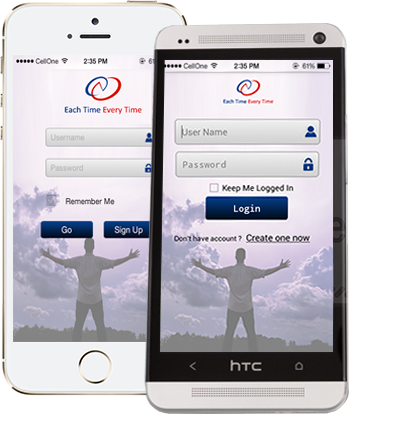 It offers extremely simple user interface and saves time. 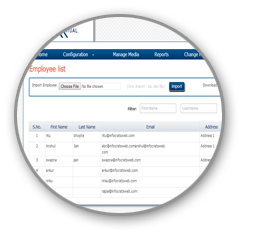 Additionally you can create, edit departments and employees as per your needs. You can educate, train and mentor your teams through inspiring and engaging video and audio files. Simply add files and schedule it for a specific date of your choice. Moreover you can add related questions to help your team pick the right learning. 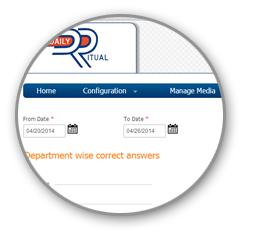 The Questions allot ratings to each answer entered by your employees. These ratings can be collectively analyzed on web to closely study the learning curve of your team. 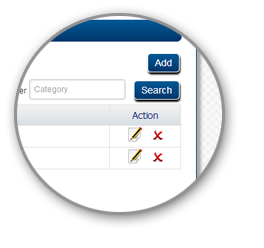 The Web interface allows you to generate graphical reports for an effective analysis. Are you ready for an amazing learning experience? Sign up today!